This attractive, yet functional dress is the perfect easy dressing solution. 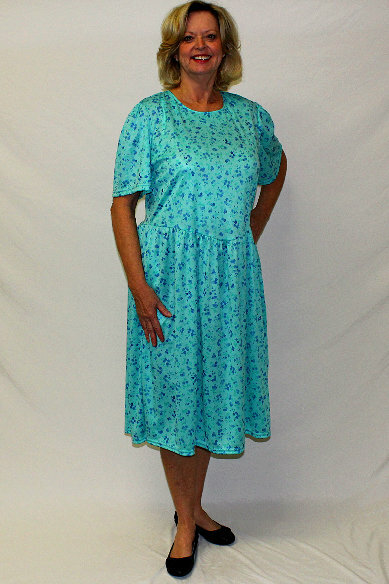 This short sleeve dress is available in assorted styles with various collar treatments. Full snap back opening for effortless assisted dressing and two pockets for added convenience. Silky 100% polyester fabric. Assorted prints.